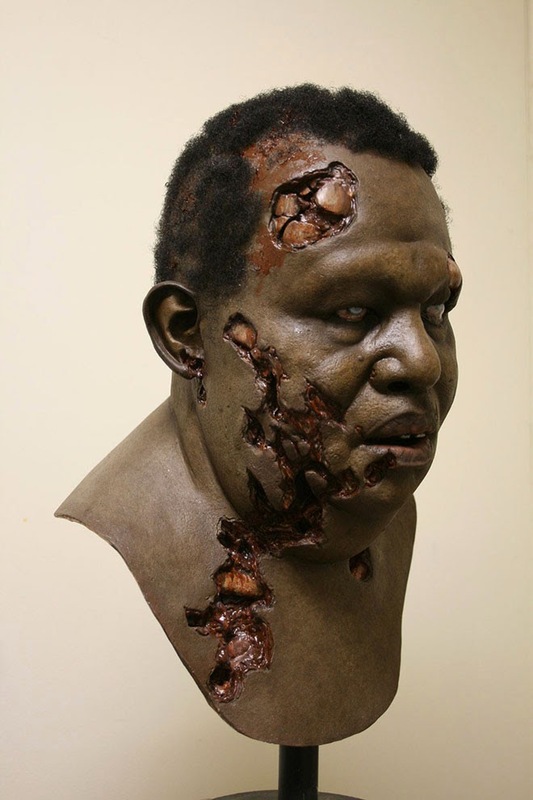 Image depicts a 'captured Ebola victim' who has risen from the dead. Claim: Image depicts a “captured Ebola victim” who has risen from the dead. The first reports of Ebola victims rising from the dead was reported by Liberia’s National Newspaper. Initially, officials from the World Health Organization fled in shock and horror as the Ebola patients suddenly arose from the dead. After organizing military reinforcements and obtaining increased containment measures, World Health Organization’s special operations staff quickly responded with military assistance and quarantined the two Ebola victims who arose from the dead. With Texas now infested with an unknown amount of Ebola patients, nearby Kansas has declared a state of emergency. Kansas Governor Sam Brownback has declared October “Zombie Awareness Month” and the state is on high alert for a zombie outbreak. Homes across the state are to receive pamphlets warning them of how to prevent the spread of Ebola and what to do if an Ebola Victim falls dead and then starts to show life again. For a number of reasons, this article resonated strongly with readers. First, a genuine diagnosis of a case of Ebola in Dallas had sparked great public concern over spread of the disease. Second, “zombie preparedness” campaigns at both state and federal levels have used pop-culture interest in zombies to promote disaster preparedness education. Also, an earlier report had suggested that two Ebola patients had been presumed dead and prepared for burial before showing signs of life. (Additional details of that story never surfaced, nor did any other reputable news outlets duplicate its claims.) Finally, a third Ebola victim believed to have died of the illness was captured on film showing signs of life and was taken by ambulance to a hospital in Africa.